Smaller families enjoy the convenience of single-story living in Bennett. Its open kitchen, with crescent-shaped island, faces out to the interconnected café and gathering areas, both letting in natural light. The garage provides a full extra bay just for storage. 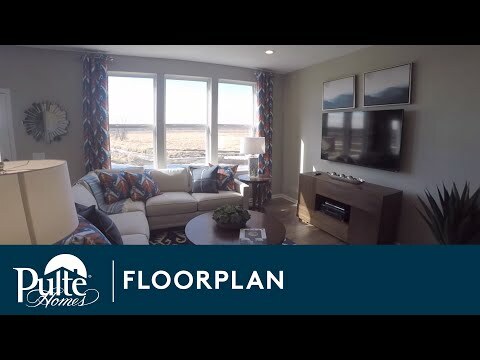 And the Pulte Planning Center®, sizable laundry room, and handy Everyday EntryTM only contribute to Bennett’s functionality. Step inside Bennett to see the Life-Tested Home Designs® with more usable space where you want it most. So you live the way you want to live.